This study has 7 sessions, incorporating an introductory session and 6 lessons. The study set includes the Study Guide by Catherine Upchurch and a commentary, “Psalms for All Seasons” (revised in 2013), by John F. Craghan (Liturgical Press). Note that the Psalms I study and the Psalm II study use the same commentary. Those planning to do both studies should only order study sets for one of the studies, and only order the study guide for the subsequent study. 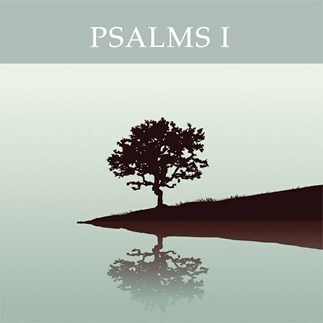 It is recommended that Psalms I be studied prior to Psalms II. John F. Craghan is professor emeritus of religious studies at St. Norbert College in De Pere, Wisconsin. He is North American editor for 'Scripture in Church' (Dominican Publications: Dublin, Ireland) and is the author of numerous books, including And the Life of the World to Come and The Gospels of the Weekday Lectionary, both from Liturgical Press. Craghan has lectured widely in the United States and Latin America. His chief interest is to make the best of biblical scholarship accessible to a wider audience. “Psalms of descriptive praise, also known as hymns, praise God for his ongoing, regular care of the world and humanity” (from p. 8 of the commentary). Psalms of trust or confidence reinforce the belief that the God who made and loves us will protect us in difficult situations. Wisdom psalms are an acknowledgment of God's justice in the right ordering of human affairs. These lectures correspond to the seven sessions outlined in the Study Set for Psalms I.